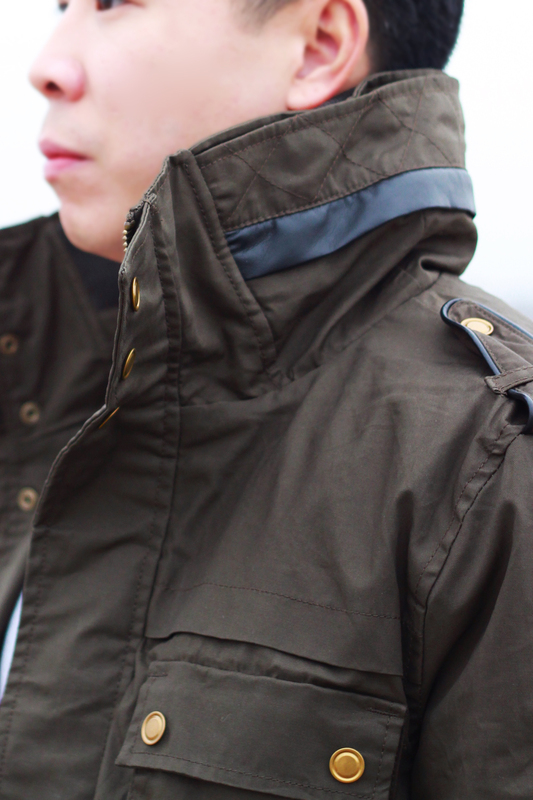 It's been a while and it took a lot of convincing but I got Darren to reemerge on the blog. 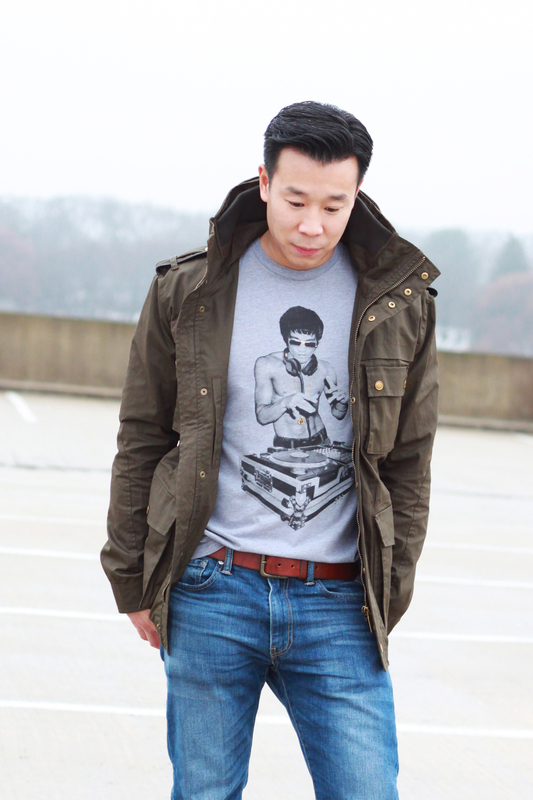 As of lately, his favorite look is the jacket, graphic tee shirt, and jeans. 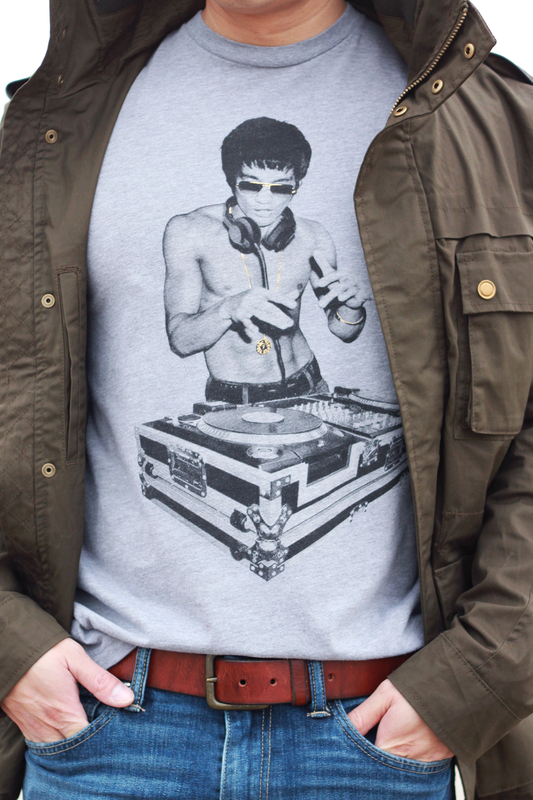 This graphic tee from Urban Outfitters is of Bruce Lee which brings me to a joke. "What did Bruce Lee order at Burger King? A Whopppppaaaaaa!" lol. Happy Thanksgiving everyone! Happy Thanksgiving to you too girlie! Hope to see you at my event next week! Darren, Darren, Darren.... he also looks so cool and calm. This whole outfit is great! I especially love that coat!!! !